Glen Orchard Holiday Park01425 616463work Holiday ParkA small secluded family run park situated on the Hampshire/Dorset border, between the New Forest and the sand and pebble beach of Highcliffe. An ideal base for exploring the local area with many walking, and cycling trails, golf, fishing, and riding nearby. Recreational facilities within easy walking distance. Centrally positioned for Bournemouth, Southampton and Lymington with a regular ferry service to the Isle of Wight. 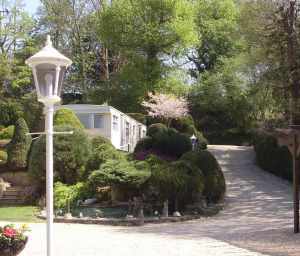 Our caravans are arranged on terraces in a beautiful landscaped setting. Let Glen Orchard be your base to savour the delights of this unique area. Second visit to Glen Orchard and hopefully not our last. The caravan was super cosy with everything you need for a great stay. Very spacious too. Thank you.